If you made it this far then it&apos;s either you know of ternary operators and want to know more, you have no idea of ternary operators, or you’re just somewhere in-between. Keep on. 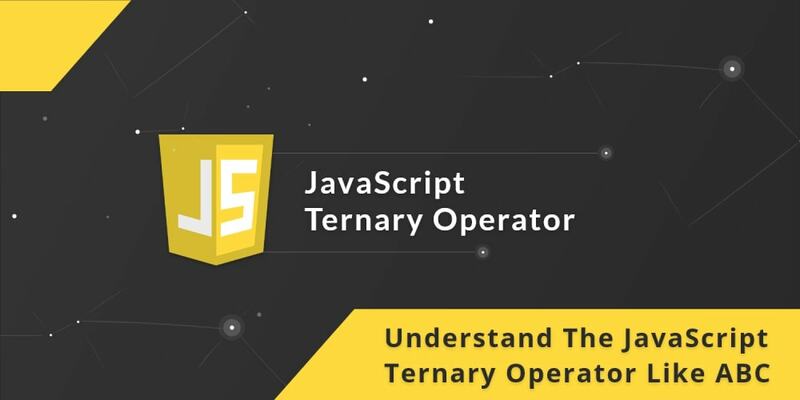 In this post, we’ll be explaining ternary operators in the simplest way and how they make coding and life in general, easier. Unary Operators - Requires one operand either before or after the operator. Binary Operators - Requires two operands on either side of the operator. Ternary Operator - Requires three operands and is a conditional operator. We will focus on the ternary operator as earlier stated. So, if day is true, alert It is daylight, else alert It is nighttime. Simple! Let’s get to more details. As stated earlier, the result of the condition evaluation can be an expression or an operation, and in this case a variable assignment. var message = myName ? "I have a name" : "I don&apos;t have a name, duh!" console.log(message) // I have don&apos;t have a name, duh! Notice we assigned the result of a ternary operation first to a global variable message, and later on, reassigned it when the condition changed. Notice the reassignment of the global variable age in the condition of the ternary operator. Reassignment operations can occur in a ternary operation - so much done in one line yeah? The ELSE part of the operation can also be an expression or an operation on its own, just like it’s done in conventional IF statements. console.log(myPet()) // How do i get it? console.log(myPet()) // Get me a dog! Imagine if we had quite a number of IF statements, with a host of return expressions in them, now think of how these can be shortened using ternary operators. Next, we will see how we can chain multiple conditions together, you can have the conditions in functions as well! message = "I&apos;ll like to know your age and name"
message = "I&apos;ll stick with just your name then"
Here we simply have multiple conditions chained to one another, and if a condition doesn’t pass, another condition is put forward, and if it still doesn’t pass, (now you cannot be offered any further assistance, lol) an expression is returned. //serving you a cool dish on ??? but with a ternary operator, simply separate each operation with a comma. So far, you have seen how invaluable using ternary operators to write conditional statements make code plain and effortless, from writing simple lines of conditional statements to writing large chunks of chained operations in or out of functions. Using ternary operators, keep writing better code, …and DRY code.